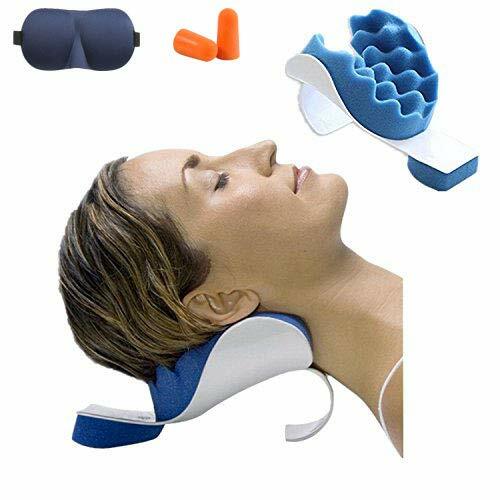 Relax your stiff pain neck and shoulders instantly with this amazing neck relaxer support pillow! 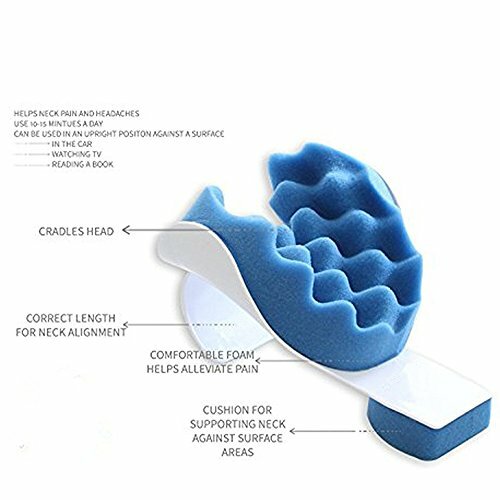 With unique design according to somatology, this neck support provides you with safe, simple and effective solution to sooth away neck and shoulder aches and pains. It helps alleviates tension, increases relaxation, and promotes healing. Perfect for deep relaxation, work breaks, long days at work and exercise recovery. 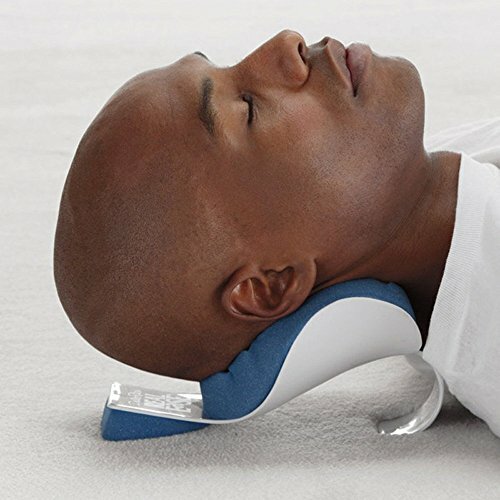 Comes with Noice Earplug Sleep Mask, you can have a good relax while take a break.ffective Pain Relief – Cradle your neck gently with soft foam while supporting and re-aligning with the heavy duty plastic frame, this neck support helps place your head and neck in a more comfortable, pain-free position. Gifted with a Noice Earplug Sleep Mask, you can fully relax while at home or in vacation! 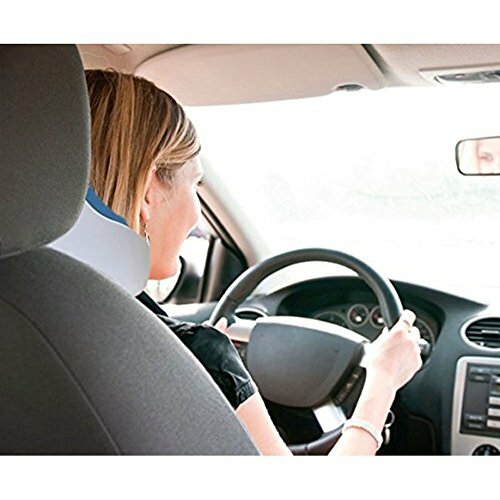 Amazing Multifunctional Neck Support – Safe, simple and effective solution to sooth away neck and shoulder aches and pains. 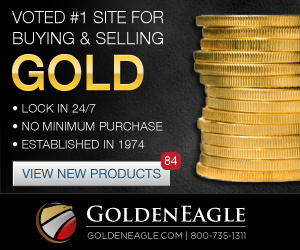 Helps alleviates tension, increases relaxation, and promotes healing. Perfect for deep relaxation, work breaks, long days at work and exercise recovery. A must have for your travel journey. 15 Minutes Fast Pain Relief – Feel fresh and invigorated in just 5 – 15mins. 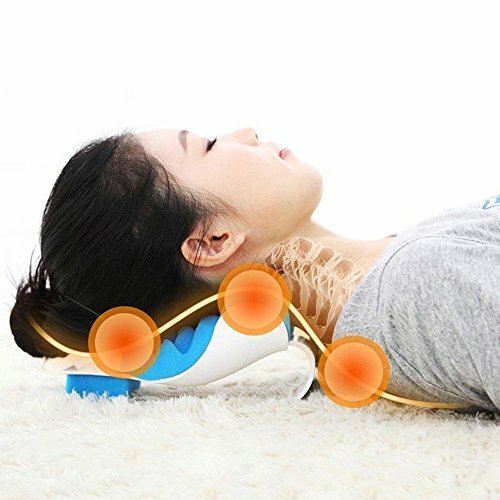 With this neck relief support, you can gently stretches, relaxes and rejuvenates neck and shoulders at anywhere, would be a best Christmas gift or Birthday gift for your friends or families. 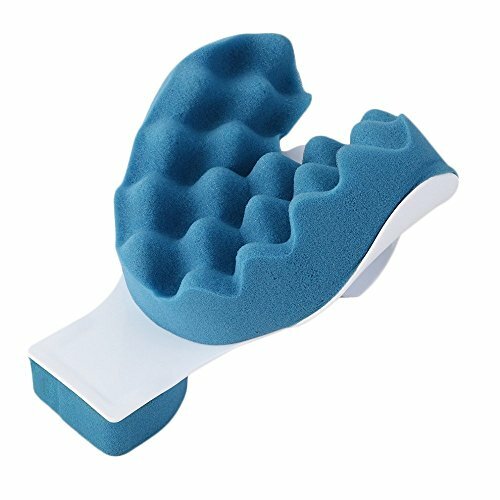 Use In Various Ways – Don’t forget to support your neck while sitting up in bed reading or watching TV, working on the computer in office, having a rest or even driving. 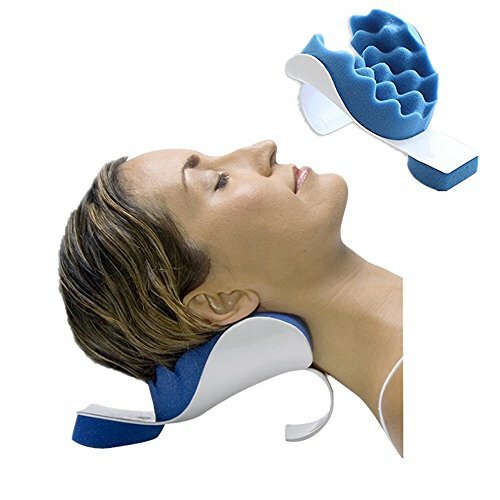 Deep Relaxation For Sore Muscles – No matter you have sore muscles in neck, shoulders or back, this neck relaxer can give you instant relief and relaxation.